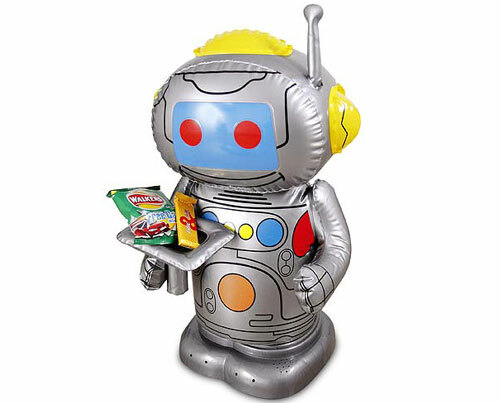 80cm tall inflatable R/C Robot, adapted for external switch use. Plug in one external switch for SPIN, and another for GO to control the Robot. Reconditioned units in excellent condition. The model on sale has both the back-pack and serving tray. Walkie-Talkie facility is not adapted for external switches.